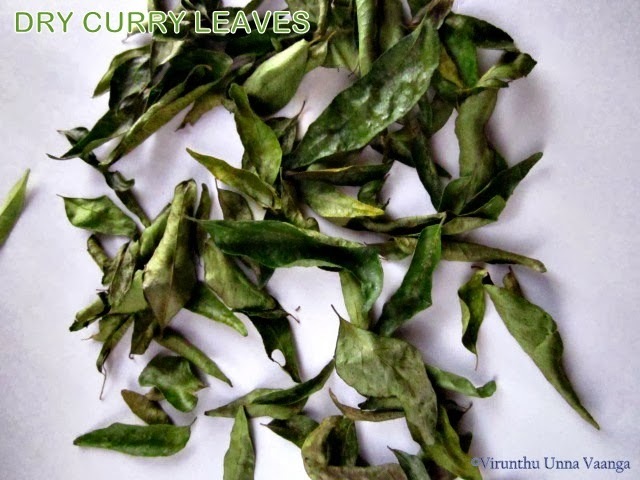 We used to keep stock of the dry curry leaves, as its very handy too temper chutneys, making of idli podies and other recipes. Likewise, dry methi leaves is also very handy which is used in dal, sambhar and other gravies too. 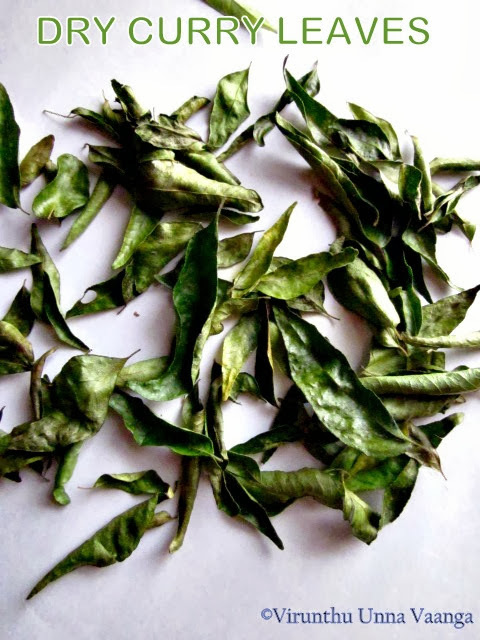 You can prepare these leaves in a jiffy and can store it in dry air-tight container for long time as it has long shelf life. Pick the leaves from the stem and keep it in a bowl. Wash the leaves with 2-3 times with water in floating water or running tap water. Drain it and keep it in microwave plate and spread it as shown in the picture. Microwave high (100 P) for 8-10 minutes. 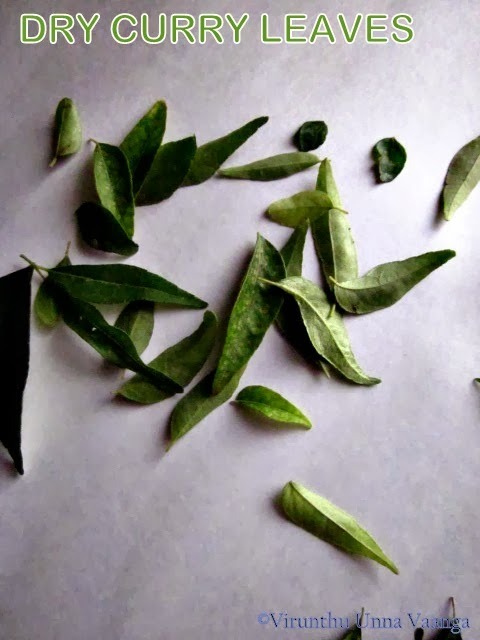 If you touch the leaves it will be crisp or keep it again for 1-2 minutes, not more than that, else it will burn. 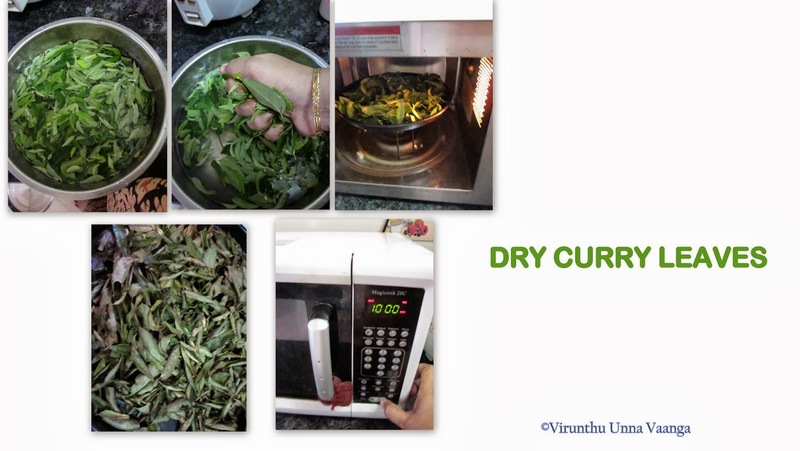 Fantastic post, homemade is always the best, well done Viji..
Nice and unique post Viji..guess during the process, you kitchen must have filled with nice aroma of curry leaves and methi leaves. Nice post viji .I always like to do everything.homemade . 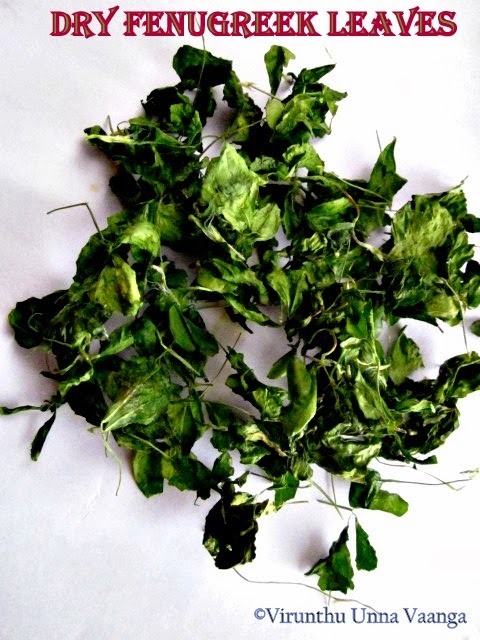 Fenugreek leaves, 0.5 ounce. 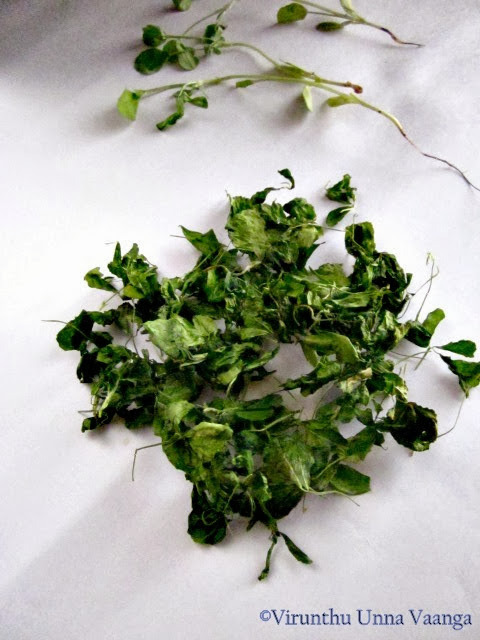 Native to south Asia and southeastern Europe, fenugreek leaves come from a sturdy annual. Ready to use, it can be added to recipes as needed or simply used as a garnish. 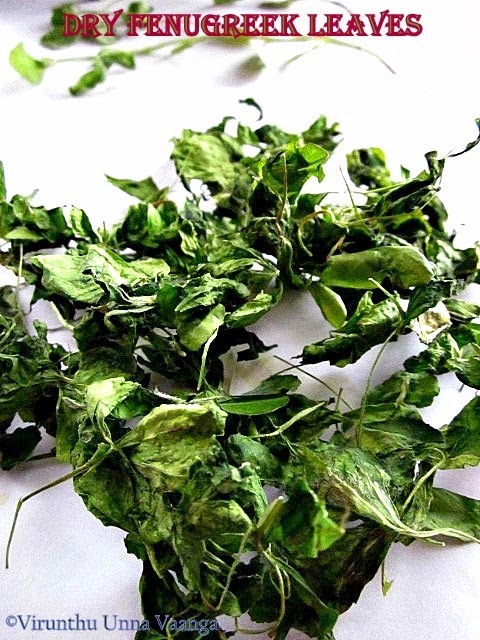 Associated with Indian cuisine, Fenugreek Leaves are typically used in meat curries, chutney and vegetable dishes. Store in a cool, dry place. 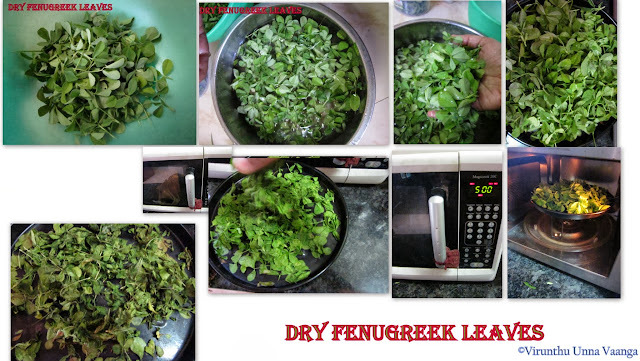 Can i just dry roast fenugreek leaves instead of using Microwave?